My trip to Ohio for the summer has finally ended, and so it's time for the annual “Back in Kyoto” post (just like 2007, 2006, and 2005). This year we took Northwest Airlines, which afforded us a mid-day departure from Akron-Canton airport for a short hop to Detroit, and then a Detroit-Kansai flight that cuts out the west coast. That makes for an overall savings of several hours compared the Cleveland/Chicago/San Francisco/Kansai flight I've done many times on United Airlines. The shorter trip is wonderful, but one unfortunate side effect is that the longest leg is now 14 hours instead of 12 hours, which is, well, long. We actually arrived half an hour early, and to a wonderful sunset. To top it off, there was absolutely no waiting for immigration, luggage, or customs. 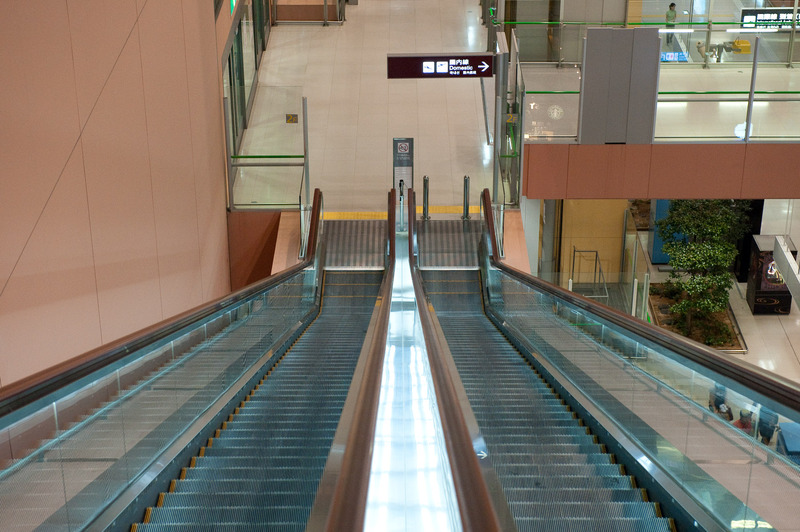 Shockingly, my two bags were the fourth and fifth bags to emerge on the little conveyer, which started just as we walked up. How wonderful. Like last year, Fumie and her mom met us and gave me a key to a room at the on-airport hotel. They took Anthony for the two-hour drive home, which allowed me to shower and sleep right away. Except this year, I didn't sleep right away. While I was in Ohio, Fumie had picked up the Nikon D700 and new lenses I'd ordered, and had left them in the hotel room for me. Even after a shower, I felt like a zombie, but I unboxed the camera and the new Nikkor 24-70 f/2.8, threw in one of my Nikon D200 batteries, and walked around the airport for 15 minutes. 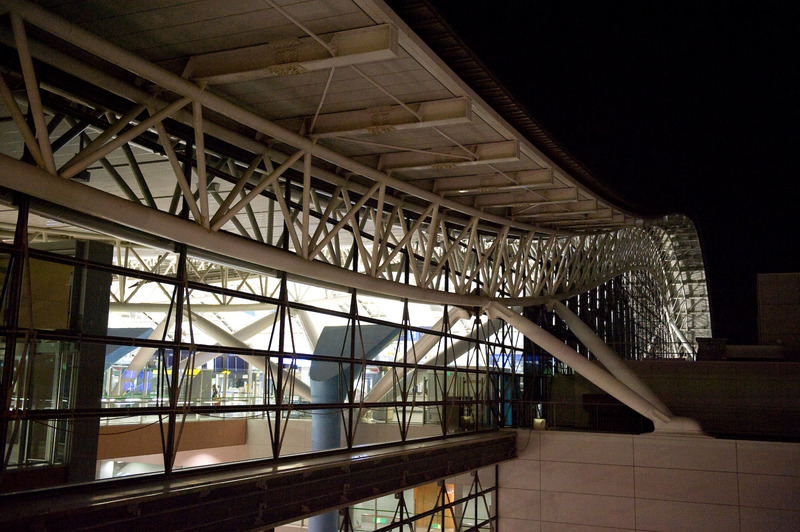 The terminal building at Kansai International is a curvy, graceful, cavernous four levels high. 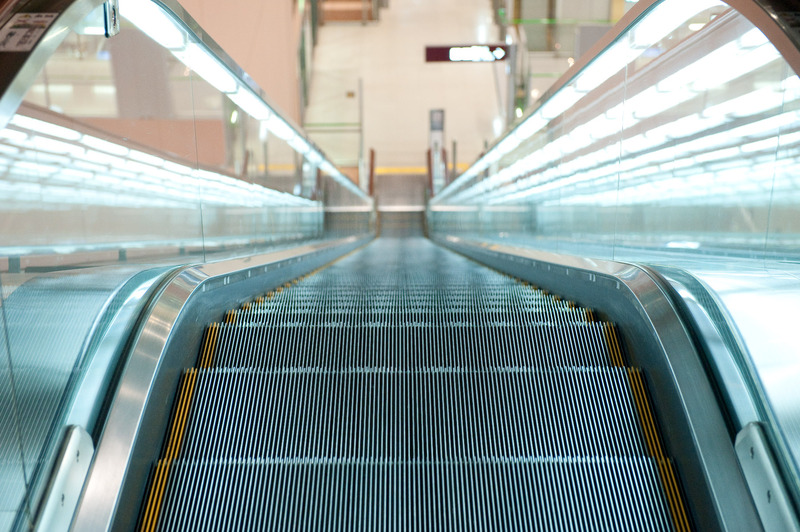 I guess I like the escalators. They were also a photographic target when I first got my D200 (as seen in a post about my photo/blog workflow earlier this year). I felt pathetic not being able to exploit the visual richness of the area, so I packed away the camera, exchanged some Canadian Dollars left over from our trip to Vancouver and Whistler, and went back to the room to sleep. I woke up refreshed at 6am, ate a couple of bananas, packed up everything, and took the JR Haruka Express train to Kyoto. It was mostly empty, so I could spread out and relax, and I caught up on some photo work with Lightroom. It was a hot, muggy, humid, hazy summer day, typical of summer in this part of Japan. 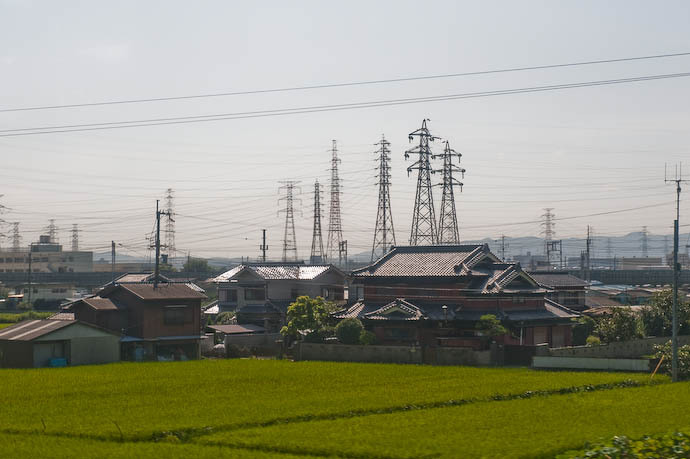 Japan has a lot of power lines (and the associated ugly towers) all over the place, but there's one area between Kyoto and Osaka where they seem to be unusually prevalent. I see it from the train each time I go by, but I keep meaning to head down there on my scooter to see what it looks like. Will have to do that some day. I got back home in Kyoto at about 10:30 this morning. The jetlag hasn't been too bad, but it's now 7pm and I'm starting to feel like a zombie again. Anthony had school today, and has been in good shape, although he did conked out for a short nap in the afternoon (the lead picture above). Cute picture of Anthony. Welcome back home. Im sure when you are rested from your trip you will be shooting a lot of D700 photos 🙂 I’m finding anything up to and including 3200 looks just great. Hello, good day and okairinasai. Your blog is really wonderful. I enjoy reading it very much. I have one question for this post and it may just sound very silly, but I am curious. 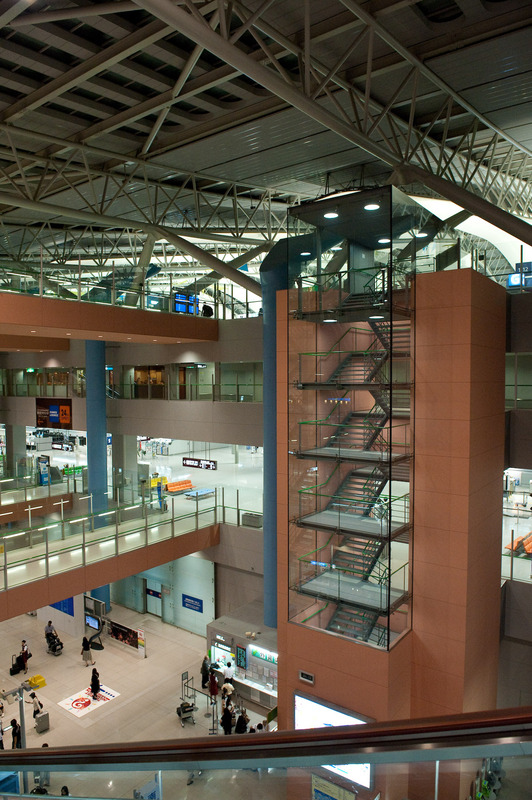 Why is it that you didn’t go home together with your family on the day you arrived Kansai airport? I too have noticed what I have come to call “the Jeffrey system” of travel. Hotel in, hotel out. Hello. 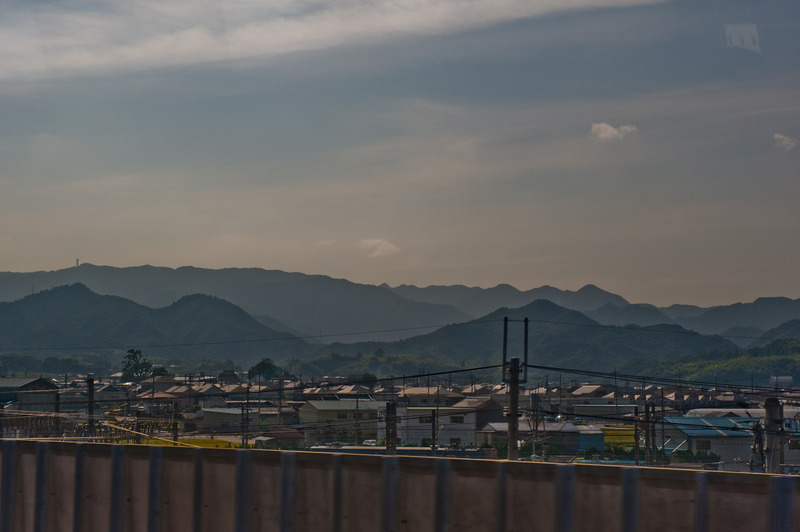 Welcome back to muggy Japan! Anthony and George are look so tired…..by the way,which is the jetlagged George?